I intended to write a blog post in celebration and review over the last four years. (And hopefully I still will at some point... the Lord has taught me SO much over this time!) BUT after our day and night Sunday, I felt the Lord stirring my heart in a different direction. Anniston and I were able to attend one of the services and then be present for parts of the others. After watching everyone file into the last service of the day, Anniston and I headed home for dinner and bedtime and I would anxiously wait for Miles to get home so we could talk about what an amazing day it was! Happy Monday, friends! Yesterday I turned the big 29! I get that 29 is not that big of birthday, but it is my last year in my twenties so it has me only slightly freaking out. :) I thought it would be fun to share 29 things about me that you might not know! After reading back through the list I'm pretty sure I sound a little crazy and nerdy, but THAT'S OK! This is me in all of my weirdness! Enjoy! "Wooahhh, we're halfway there! Woah, livin' on a prayer!" I can't get this song out of my head this week because we are HALFWAY through our pregnancy! I hit the 20 week mark on Monday and we can't even believe we are halfway to meeting our second little princess! 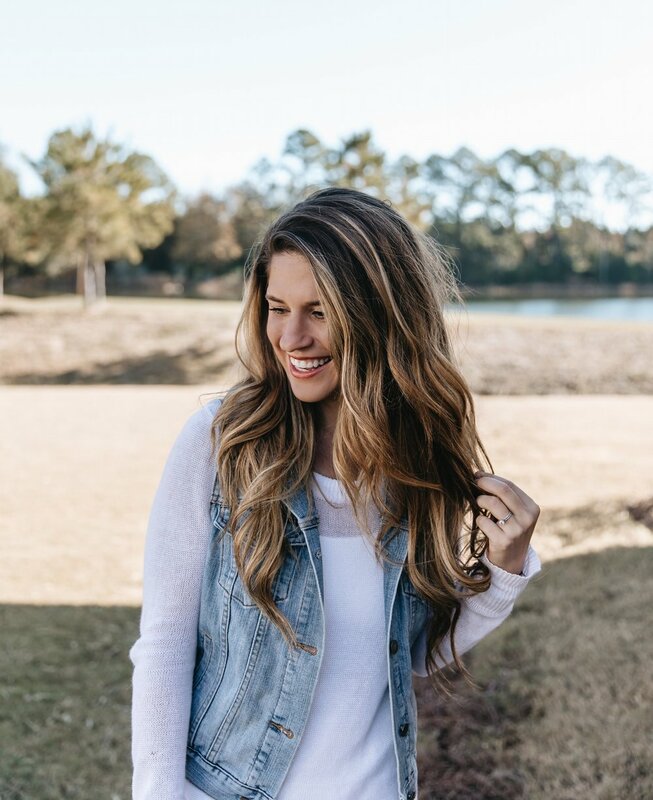 I've got a quick little update for you on how things have been going since my last pregnancy post (read here), but FIRST I just have to share what I am learning and how the Lord is continuing to rock my world throughout this pregnancy! My girl is 18.5 months old and I'm not sure how she can possibly hold such big personality in that tiny little body! She keeps us shaking with laughter 99% of the time... and reminds us she's still human the other 1%. ;) So here are my current "Anniston Favorites" in all of their hilarious glory! If you know her, you love her, and if you don't know her, here is a peek into her special little mind and heart! YOU GUYS. Today marks 10 years since my LAST first date (and last first kiss!). That's right, ten years ago today was my very first date with THE Miles Fidell, aka my husband and baby daddy. So in honor of that blessed day (that I didn't even know was a date at the time! Ha!) here are ten photos from our dating years and ten things you might not have known about our story! Enjoy! I was looking through pictures and came across this one of my beautiful family + our little blessing and caught myself thinking: "remember when you could button those jeans a month ago?" 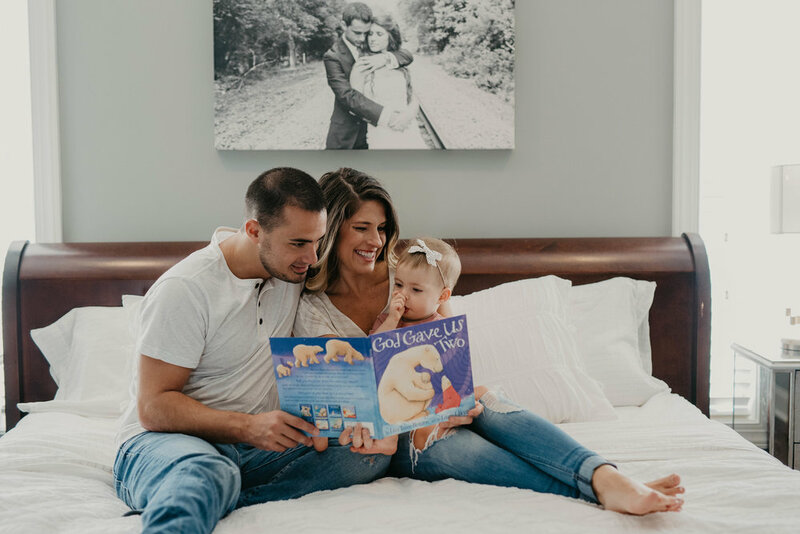 Here I am staring at a photo of my incredible husband, our precious little girl, and the book "God Gave Us Two" and I am throwing a little pity party about my growing body. Ya know, the body that is carrying our second little blessing that GOD gave us?